During an year long research project on relation of walking art and choreography – MOVEMENTSCAPE -founded by Mloda Polska 2014 scholarship of Ministry of Culture and National Heritage in Poland, I focused on importance of daily practice and choice making. Also wanted to allow every process last as long as needed. I tried to understand walking art through choreographic point of view, and experiment with walking art prospects in choreography. After long months of failure in trying to translate the experience into movement I finally understood that was not a way to do so. I changed my mind set and focused on what is it that I wanted to communicate after all. I wanted to share the experience in the purest possible way. That led me to creating a environment where every visitor will have a change to create their own journey. 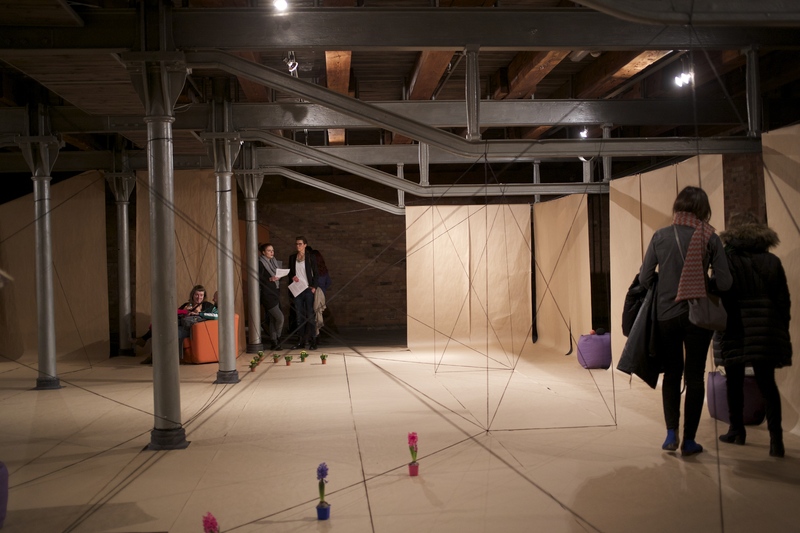 Finally it was a maze like scape with lines in space creating a “walls” or “paths”, few stations for every to explore. It was important for me that every individual could make a choice in what way wants to explore the landscape. 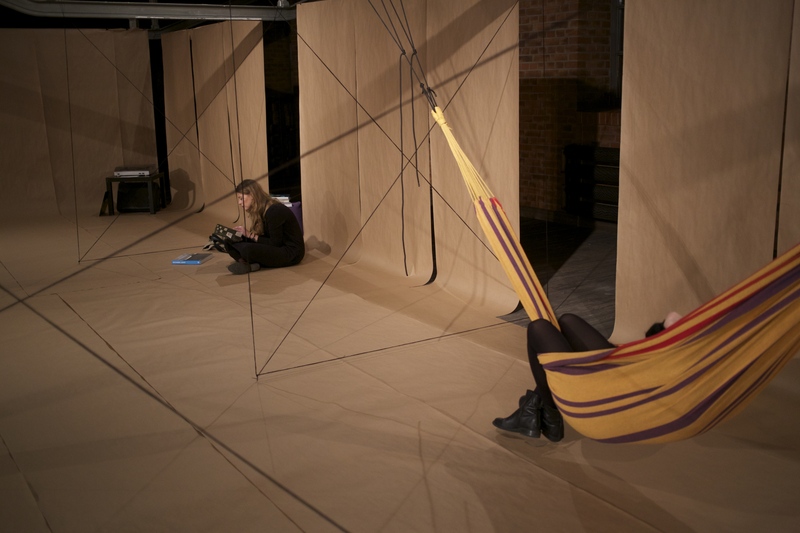 The installation was open to the public on 13th and 14th of December and took place at Slodownia +1 in Art Stations Foundation by Grazyna Kulczyk in Poznan/ Poland. After an year of using walking as an art practice I started to treat it as a meditative activity, paradoxical break, a way to slow down the daily speed and it would always create more space for my mind to work creatively. I started to appreciate more the transition as a valuable activity rather then side effect.